Abstract: Recent work at the Institute of Oceanographic Sciences Deacon Laboratory (IOSDL) (Refs 1–3) has indicated that both the average and extreme values of wave heights measured in the North–Eastern Atlantic have been increasing without corresponding increases in local wind speeds. The present note reports the results of some reanalysis of the relevant data which confirm that the average heights have increased but raise doubts about the increases of extreme height. It suggests a possible explanation for these results based on the influence of increases in swell levels due to changes in prevailing patterns of wind speeds and directions in other areas which could substantially affect average values of significant wave height (of order 2 or 3m) but not extreme values (of order 15 to 20m). It recommends however that further investigation is needed to establish the validity of the results and their practical implications on a firm basis. Abstract: Hyperborer offers a unique method for installing large caissons or silos into the seabed or into river beds. The method utilises a process known as suction driving to assist the installation of a silo quickly and precisely into sedimentary soils. By carefully controlling the suction pressure in a cutting chamber formed at the base of the silo by the introduction of a drill module with a cutter suction dredge system, it has been demonstrated that the excavation process can be confined to the material within the silo enabling a smooth and controlled installation. The silo and drill module are supported by a tubular framework known as the template which maintains the silo in a vertical axis. Typical silo dimensions are 6m diameter by 18m high. An isometric drawing illustrating the system is shown in Fig 1. Designed as a remotely controller subsea system, it can be deployed from non–specialist support craft without diver intervention, in water depths down to 300m. Abstract: In all underwater operations the concept of ‘time is money’ is a very potent element. The quality of the information gathered, or the job done, is often given second place to the task of getting in and out in the shortest, cheapest time possible. In the following discussion, I hope to illustrate some concepts which can provide an improvement on both counts, allowing a better job to be done in a shorter time. I hope to explain how the awareness of a Remotely Operated Vehicle (ROV) pilot and his ability to relate to the position of the vehicle in three–dimensional space can be improved. I hope to give an insight into how the ROV can not only perform present tasks more efficiently, but can be used for more complex tasks hitherto not considered suitable for a ROV. I also hope to give some indication of why this can now be done in a cost–effective manner. The basic concept to be explained is that of panoramic video in a simple form, and how equally simple methods of video enhancement can give the ROV pilot a considerable feeling of ‘tele–presence’, as if he were sitting within the ROV itself. At this point, a short review of present methods is appropriate to explain the problem which amounts to the pilot of an ROV having to be an expert at a strange game of ‘Blind Man’s Buff’. Of all the tasks carried out by the ROV, the two most common are those of drilling support and pipeline survey. Drilling support represents the simplest type of visual systems, whilst pipeline survey represents one of the most complex. Oceanography is the whole business of getting into the sea, finding out what is there, discovering what is underneath, studying its science, the dynamic system of its movements, and the nature of the different environments it offers to living organisms. Oceanography also covers the manipulation of men and equipment ‘within’ the sea, coping with the hazards and limitations and overcoming the problems of working at the great depths of the oceans. Advances will therefore be on a broad front due to the spectrum of technologies required. Many projects with goals encompassing different ships and submersibles from many different natures are foreseen. Sound is the only significant energy which can travel distances of more than a few metres in the ocean. The transmission of sound with low attenuation enables scientists to use acoustical methods to determine depth, sea–bottom structure and locate submerged submarines, as well as to communicate over considerable distances in a medium that is nearly opaque to most electromagnetic radiation. This property, of great interests to oceanographers, has little influence, however, on the natural oceanic environment; in fact, it is important only in that marine animals use sound as a communicating device. Abstract: In the relatively shallow areas of coastal and sheltered waters, the echo returns from seabed features frequently dominate the data received by sonar systems. During the development of sector scanning sonars at Loughborough University the need to provide some additional information as an aid to the interpretation of the received echo structure was identified. The Civil Engineering Department at the University had been investigating computer imaging techniques in the modelling of terrain surfaces likely to be modified by the impact of engineering operations, and had developed a ‘predictive’ ground model (Ref 1). The natural extension of this work into underwater survey was therefore of interest to both research groups. 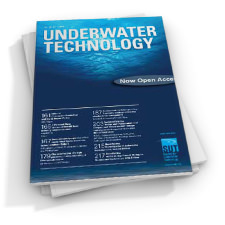 Abstract: The paper presents such information as is available to predict the dynamic behaviour of breakwaters under the action of underwater borehole blasting. It presents a review of: (1) the available published documents on the propagation of shock waves from underwater borehole blasting, both underground and through water; (2) the available information concerning the dynamic behaviour of structures subjected to blast vibration; and (3) the response of breakwaters to underwater borehole blasting. The paucity of available information with respect to the prediction of dynamic response of breakwaters to blast loading is indicated and the need for conducting a thorough investigation is emphasised. The future research needs have also been suggested. Abstract: Engineering studies which have been carried out into the disposal of heat–generating nuclear waste in the deep ocean sediments are described. Two of the disposal methods, the penetrator option and the drilled emplacement option, have been investigated on an international basis, while a third, the seabed repository option, has been studied in the UK only. The role of the engineered barrier in the disposal system is discussed. Various waste forms that have been considered for disposal are presented. Information gathered from deep ocean sediments and pertinent to engineering studies is summarised. Assessments are made of the engineering feasibility of deep ocean disposal; indications are given where further confirmatory work is required. Abstract: A review has been made of research requirements in the field of the environmental forces on offshore structures. It is in two parts: environmental data, and environmental loading. In each of these areas the six most important topics have been identified in order of priority. 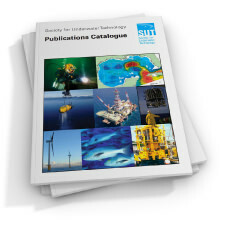 The full lists of topics considered are available from the SUT Secretariat. One common theme to emerge strongly from the review is the need to make progress with reliability analysis techniques. These consider the probability distributions of environmental factors such as waves, currents and wind, and the probability distribution of the structure’s ability to to withstand these forces. Microprocessors Underwater ― Revolutionary or Routine? Abstract: The international physical oceanography community is about to embark on the biggest oceanographic experiment ever undertaken ― its aim ― to assess the role that the oceans play in controlling and modifying the earth’s climate. In this article the project coordinator for the WOCE in the Natural Environment Research Council, and a member of the international WOCE planning team, describes the background to the experiment, its international organisational structure and the UK plans for participation. Abstract: Submarines used for civil services subsea offer so many advantages that they have the potential to replace the present Multipurpose Support Vessels (MSV) and initiate a new era of support vessels, the submersible support vessels (SSV). The latest developments in submarine components show that the SSV is a safe, economic and comfortable system. As described in another conference paper, the submarines can be used for a variety of tasks and offer a lot of operational advantages such as work performance on the spot and weather independence; and economical advantages such as low cost operation, time–saving operation and high availability. The technology developed by Thyssen Nordseewerke will achieve a reliable SSV. Combined with the operational technology developed by NORSUB, this will revolutionize the subsea intervention market. 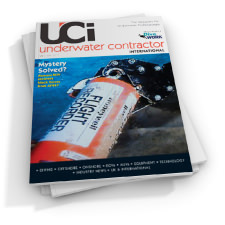 Abstract: Over a period of several years, both John Brown and Aker Engineering have executed a number of studies and design contracts for production facilities in water depths beyond 750m. 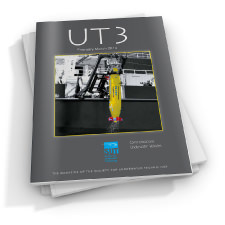 This paper presents a designer’s view of the issues raised by some of these studies with respect to the technically interesting highlights and how they fit within the context of extended well testing, early production, production and export for a future deepwater field development. Extended well testing and early production facilities are considered in terms of monohull systems but the main thrust of the paper is a description of improvements in TLP technology which make these vessels less expensive and hence more cost–effective for hydrocarbon production in both moderate and deep water. The paper highlights commercial factors and raises for discussion the general circumstances under which extended well testing and early production may be applied and the logic of combining these phases with the final production and export scenario. Abstract: Often oceanographic researchers require specialised or novel instrumentation to make the observations necessary to support their hypotheses. Nowadays such instrumentation frequently demands the use of microprocessor technology to accomplish the signal processing and computation functions. Designing and developing such instruments, often on a ‘one–off’ basis, can be very costly both in terms of hardware and software. An approach using a set of microcomputer boards specifically developed for use in battery powered self–contained instruments is discussed. Several instruments incorporating the board set are described, ranging from a complex acoustic Doppler current profiler to a simple illuminance meter. Software development is briefly considered and the importance of identifying reusable software modules is stressed. Abstract: Design work has been proceeding on the development of a Remotely Operated Vehicle system with six degrees of freedom. The vehicle (Fig 1) incorporates new control techniques and industrial–based robotic systems, and is tended to provide a greater degree of overall capability particularly with regard to tasks where the replacement of traditional saturation diving techniques can provide commercial and operational benefits. The vehicle design programme deliberately involved the objective of introducing, wherever feasible, known industrial technologies and items of equipment which had already had the benefit of having been tried and tested. Abstract: Technological advances in one field often benefit others. If it were not for developments of satellites for military purposes, it is doubtful whether the first earth observation satellites would have appeared, though their usefulness now is beyond question. Environmental sciences, and hydrodynamic modelling in particular, continue to benefit enormously from advances in computing. But large powerful models need large coherent data sets against which to test them. From where are such data going to come? What transfers of technology will aid us in this task? For three decades the method by which physical oceanographers obtain their most basic information on the temperature, salinity and density fields in three dimensions has not changed: a small instrument (CTD), weighing in the region of 50Kg, is lowered by a conducting cable (1000Kg), using a winch and power source (5000Kg), from an ocean going vessel (1000000Kg), burning 5000Kg of fuel per day, taking 30 people away from home. A similar pyramid of escalating cost could be drawn up. Properties of the deep ocean floor at high resolution is another area of ignorance in dire need of a new approach, away from the inefficient lowering of long cables, or the expense and short endurance of manned submersibles. 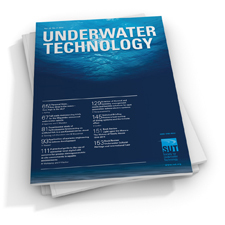 Where are the step changes in cost effective data acquisition from ocean depths to come from? Our thesis which we pursue here is that the development of autonomous submersibles is the generic answer in both of these examples and also for many others. The instrumentation has to be separated from long cables, from heaving ships. Advances in data acquisition, in expert control systems, in satellite navigation and telemetry, and in high density power sources will need to be brought together. There is no complete technology to transfer wholesale, but aspects of torpedoes, ROVs, satellites and computers are relevant. A start on this has been made by NERC on Project AUTOSUBS, the strategic underwater technology of the future. Abstract: Within the Natural Environment Research Council (NERC), engineers at the Institute of Oceanographic Sciences (IOS) and at the British Geological Survey (BGS) regularly develop novel instruments which, for example, enable their scientists to measure ocean properties or sample the seabed. Although these devices are made to satisfy the needs of NERC users, they are commonly attractive to other potential users in academia, other government departments both here and abroad, and industry. IOS and BGS are committed to a policy of transferring their technology to industry, and actively seeking licensing agreements for the manufacture and sale of production versions of equipment derived from the tried and tested seagoing prototypes. Below we offer brief descriptions of some of the tools that we consider ready for transfer to industry. We hope that this information will lead to industries taking up development options. In the past, this approach has succeeded with, for instance, IOS’s SeaSoar (now made under licence by Chelsea Instruments) and IOS’s GLORIA (now licensed to Marconi Underwater Systems Limited to carry out surveys of the seabed).